April 4, 2017 By Erika C.
It was just one month ago that a select group of startup businesses were chosen as semi-finalists in SUP-X, a StartUp Expo and national business competition, and Power Panel was proud to be one of them. 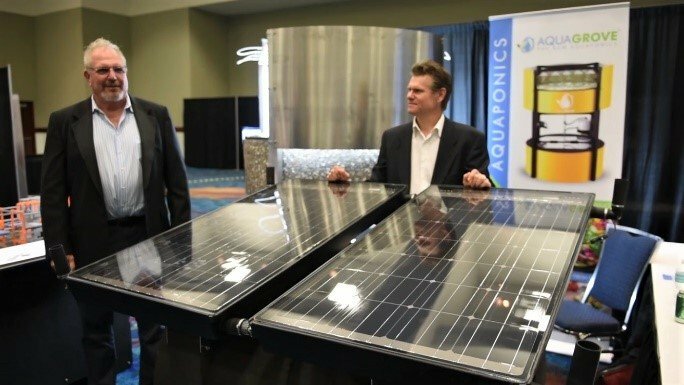 Taking place in sunny Fort Lauderdale, a coastal city known for its beautiful beaches and year-round sunshine, made it the perfect location to share the power of solar and aquaponics offered by Power Panel’s Hybrid PVT Panel and the Aquagrove aquaponic systems. Solar panel system offering powerful and reliable energy for servicing emergency and off-grid disaster relief. To learn more about Power Panel’s products, visit the Products & Technology section of PowerPanel.com.